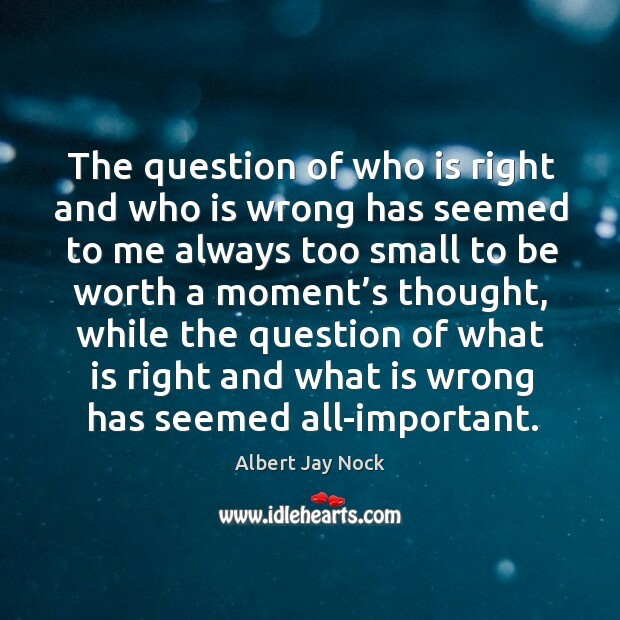 Enjoy the best inspirational, motivational, positive, funny and famous quotes by Albert Jay Nock. Use words and picture quotations to push forward and inspire you keep going in life! 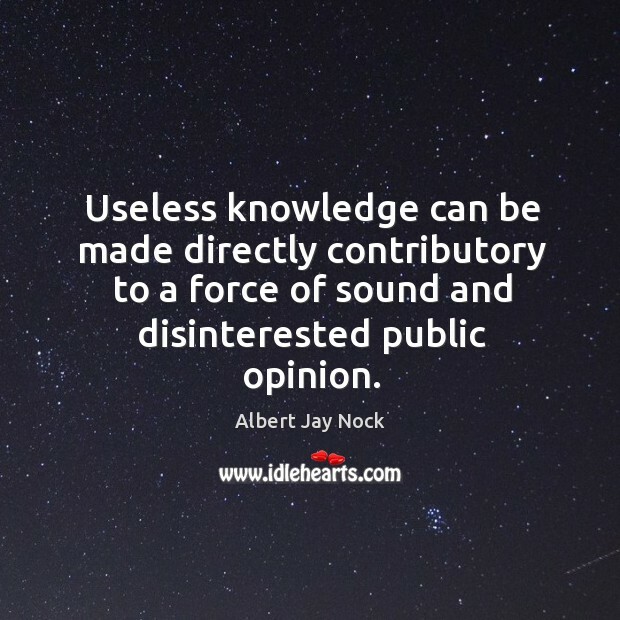 Useless knowledge can be made directly contributory to a force of sound and disinterested public opinion. 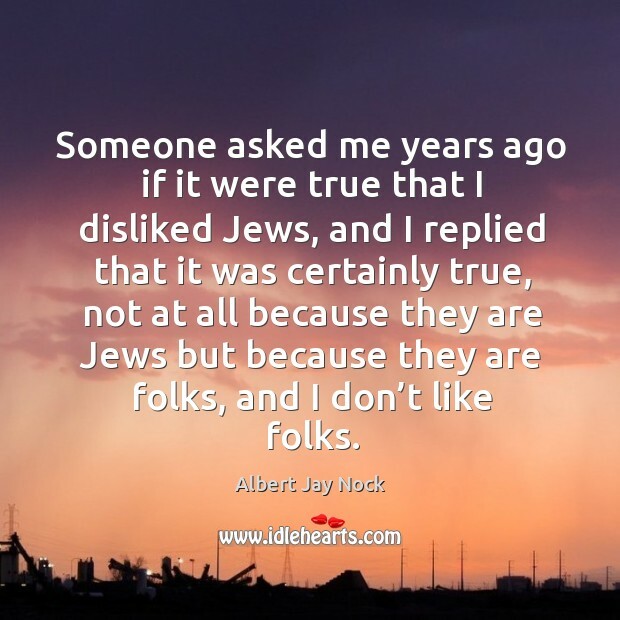 Someone asked me years ago if it were true that I disliked Jews, and I replied that it was certainly true, not at all because they are Jews but because they are folks, and I don’t like folks. 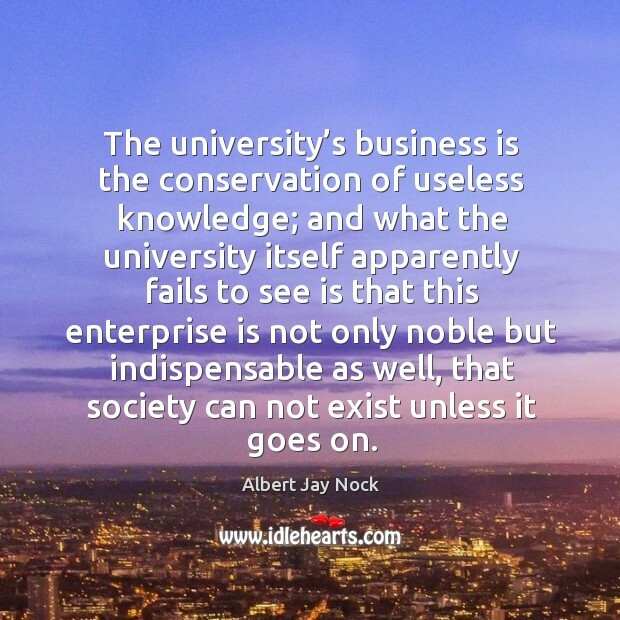 The university’s business is the conservation of useless knowledge; and what the university itself apparently fails to see is that this enterprise is not only noble but indispensable as well, that society can not exist unless it goes on. The question of who is right and who is wrong has seemed to me always too small to be worth a moment’s thought, while the question of what is right and what is wrong has seemed all-important. 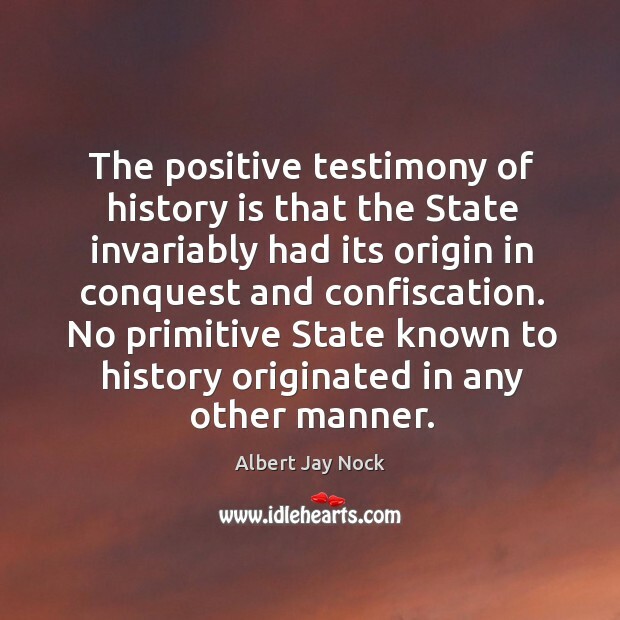 The positive testimony of history is that the State invariably had its origin in conquest and confiscation. No primitive State known to history originated in any other manner. 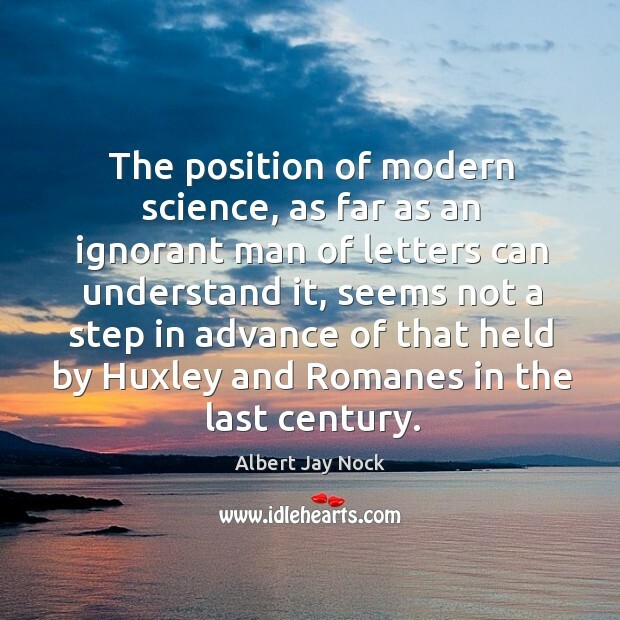 The position of modern science, as far as an ignorant man of letters can understand it, seems not a step in advance of that held by Huxley and Romanes in the last century. 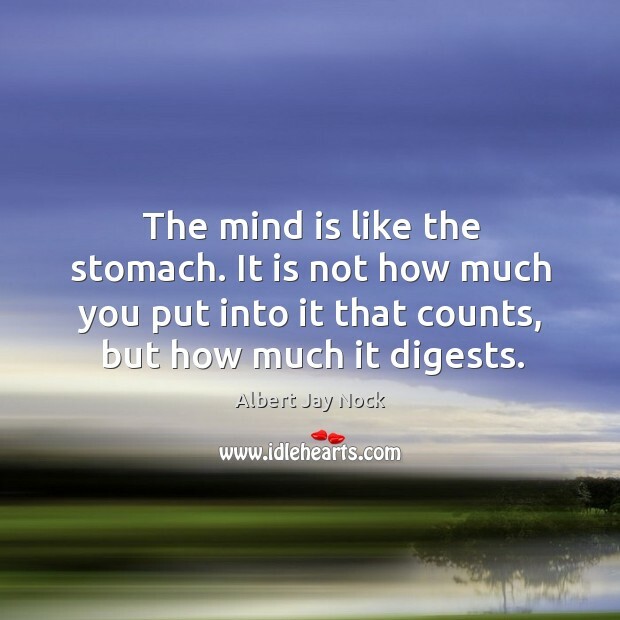 The mind is like the stomach. It is not how much you put into it that counts, but how much it digests. 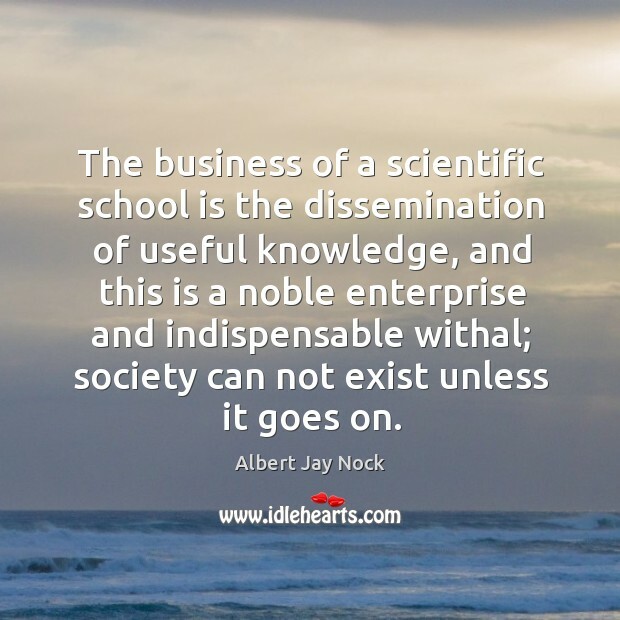 The business of a scientific school is the dissemination of useful knowledge, and this is a noble enterprise and indispensable withal; society can not exist unless it goes on. 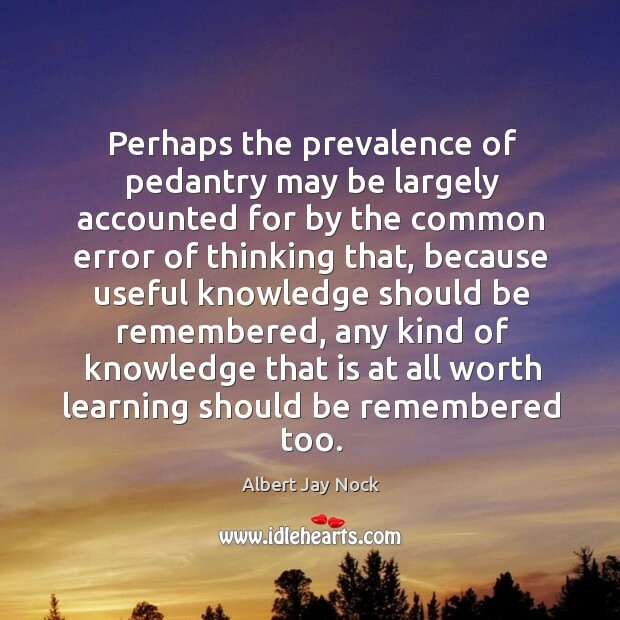 Perhaps the prevalence of pedantry may be largely accounted for by the common error of thinking that, because useful knowledge should be remembered, any kind of knowledge that is at all worth learning should be remembered too. 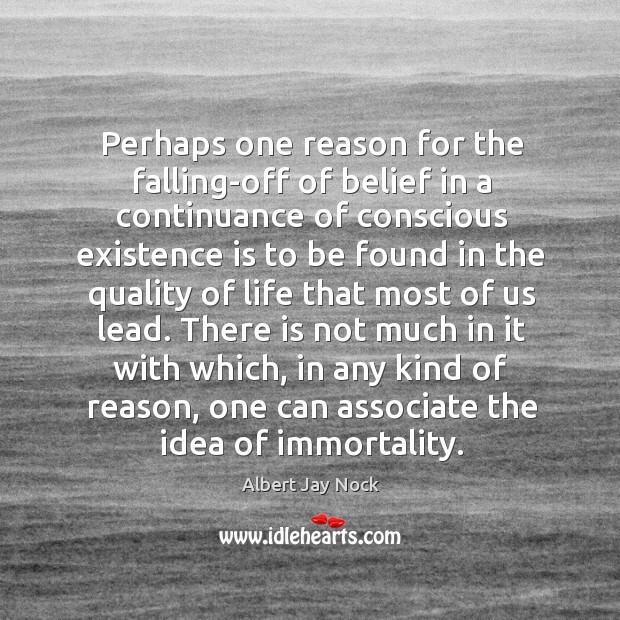 Perhaps one reason for the falling-off of belief in a continuance of conscious existence is to be found in the quality of life that most of us lead. There is not much in it with which, in any kind of reason, one can associate the idea of immortality. 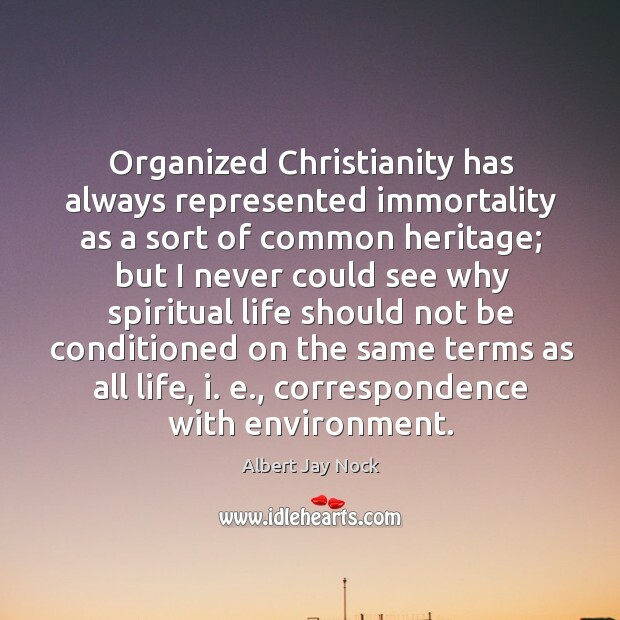 Organized Christianity has always represented immortality as a sort of common heritage; but I never could see why spiritual life should not be conditioned on the same terms as all life, i. e., correspondence with environment. 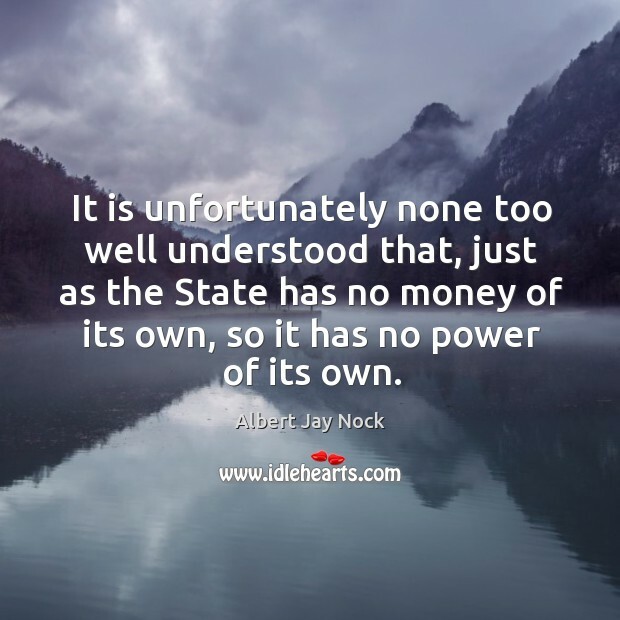 It is unfortunately none too well understood that, just as the State has no money of its own, so it has no power of its own. 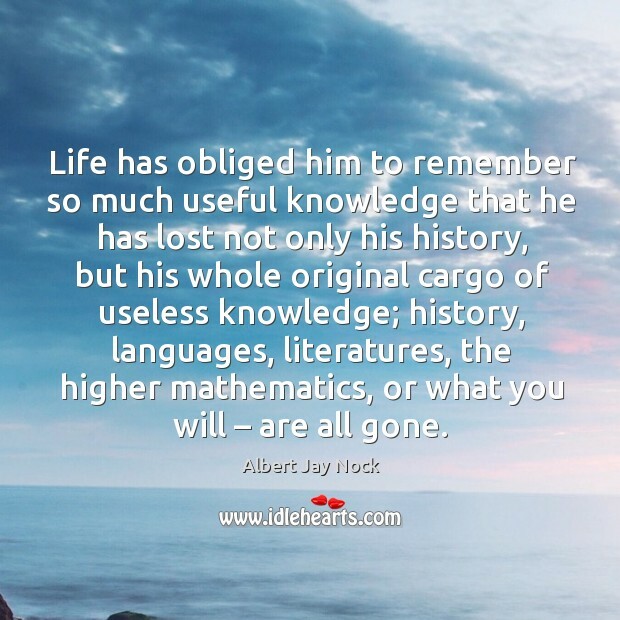 Life has obliged him to remember so much useful knowledge that he has lost not only his history, but his whole original cargo of useless knowledge; history, languages, literatures, the higher mathematics, or what you will – are all gone. Learning has always been made much of, but forgetting has always been deprecated; therefore pedantry has pretty well established itself throughout the modern world at the expense of culture. 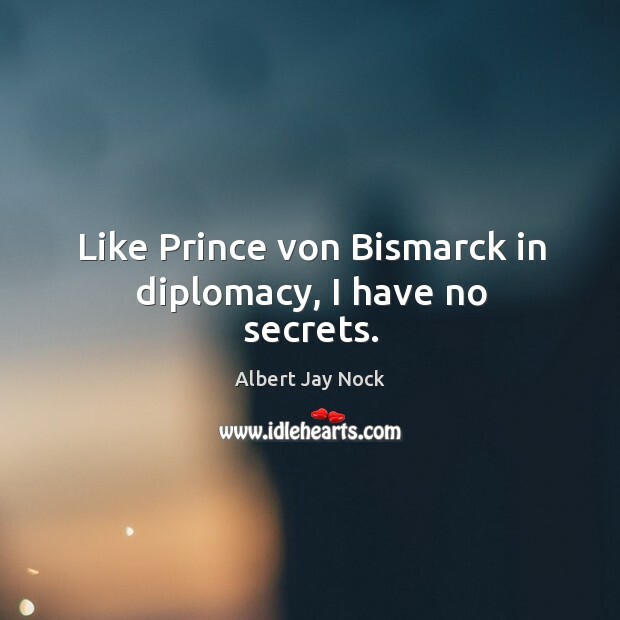 Like Prince von Bismarck in diplomacy, I have no secrets. 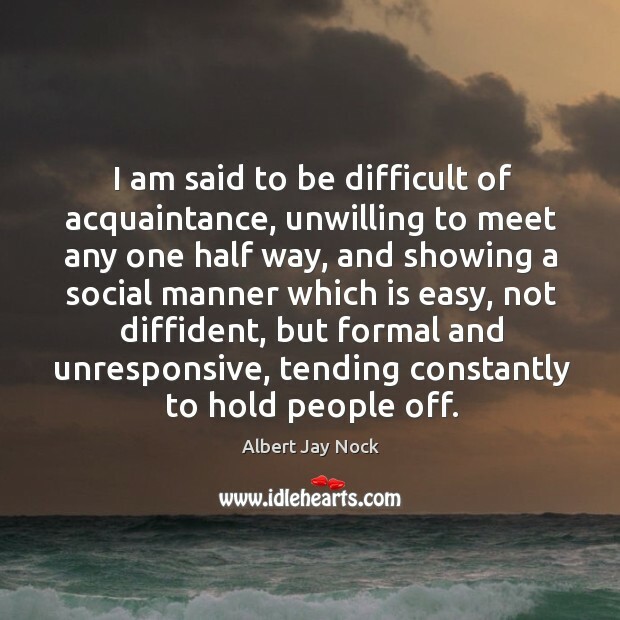 I am said to be difficult of acquaintance, unwilling to meet any one half way, and showing a social manner which is easy, not diffident, but formal and unresponsive, tending constantly to hold people off. Diligent as one must be in learning, one must be as diligent in forgetting; otherwise the process is one of pedantry, not culture.